The recent statement by the Visegrad Four on the future of Europe is “an attack on European democracy”, Jo Leinen, a respected federalist MEP (S&D, Germany), said in a strongly-worded statement on Tuesday (30 January), ahead of a key summit in February focusing on the 2019 European elections. 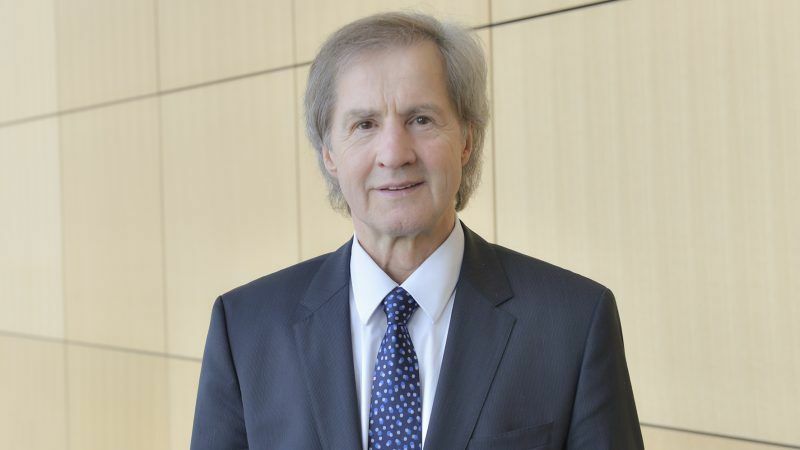 Leinen reacted on his blog to the statement by the four Central European countries (Hungary, Poland, Czech Republic and Slovakia) adopted at a meeting in Budapest last Friday. The leaders of the four countries agreed their joint stance for future talks among all EU leaders on how to reform the bloc following Britain’s departure next year. The Visegrad Four are pushing back against proposals for more integration among the remaining 27 EU states, floated by the major western EU powers Germany and France and backed by the European Commission in Brussels. “EU institutions should treat all member states equally and act strictly within the remits of their respective… competencies. The right of member states to carry out domestic reforms within their competences should be respected,” the statement said. They also said they should not be punished for having different opinions within the bloc. “The Visegrad governments call for a Europe of the executives, where decisions are taken in small circles and without proper parliamentary control. They ignore the democratic structure of the European Union and the role of the European Parliament as equal co-legislator. By rejecting democratic improvements such as lead candidates (“Spitzenkandidaten”) for the office of Commission President and transnational lists, they reveal their ignorance for the European voters”. The Visegrad Statement is not entirely clear on the so-called “Spitzenkandidaten” model for the European elections, which was first used in 2014. The leaders said that it should not undermine the current balance of institutions and among the member states. On 23 February, EU leaders will meet for an informal summit to discuss precisely the European Parliament’s makeup after the 2019 elections, possible transnational lists and the procedure for appointing top officials, including the ‘Spitzenkandidaten’. “It is therefore even more important that the new German government together with France defends European democracy. The coalition agreement should leave no doubt that Germany stands for a democratic European Union that is capable to act”. Mass immigration is what’s attacking ‘European democracy’. Because…once you’ve replaced Europeans with people from elsewhere…it isn’t ‘European’ democracy anymore. Damn marxist utopians have no sense of loyalty towards their own people. They will replace entire ethnic groups as if they were faceless employees in a multinational, all the while condemning any residual resistance as ‘xenophobic’. They will gladly put their own elderly into poverty so they can spare money to provide housing to illegal colonists…because ‘they have rights’. Sick people, traitors, liberals are an auto-immune disease. LOL the racist brigade up in arms is always worth a good laugh. well, as an european I have no qualms to say that we are all a bunch of mongrels. Europe has been formed by migrations (emigration and immigration alike). the most you could say is that some (very few) people can trace their ancestry back 10+ generations with no blood whatsoever from more than 5 miles away. but, as Johan Stavers show, that doesn’t make them any more European. democrat or enlightened as every other Europeans who have mixed origins in them (I have french, spanish, italian, swiss … and a belgian ancestor in the 1600s). and my children have proud irish blood (and what else who knows ?). All the mixing you describe is…European…so you could perhaps make a point? But I see you are so racist that you think that the natives are inferior and therefore need to be improved with ‘diversity’. It is also pretty rich to claim the word ‘democracy’ for…what exactly?..you seem to equate ‘democracy’ with mass migration..and perhaps some more Islam?..very ‘enlightened’ indeed this cultural death-wish. The right, as always, being the source of misinformation. You are conflating war refugees and standard immigration, even though they are leagues apart. Most refugees actually like their own country, and they won’t integrate because most of them want to get back to their own country. They are not here to replace anything, nor are they here to integrate, as I’m sure you’ve noticed and complained about. Is it such a big deal to support your fellow member states, such as Italy and Greece, that are overburdened by the sudden influx of refugees due to wars? You expect solidarity from the EU and her member states with regards to money, ie., give more money to Hungary and Poland, buy when they expect the same solidarity in return with regards of helping ease the burder of the refugees, you stand back and reject it. Those words reveal exactly who are the democrats here. Spitzenkandidaten was invented by the same people to whom it gave power. It is not in the treaties. During the campaign everyone stated that it was simply a demonstration of a possible system to be used. The BBC enquired about showing the debate but when told by the organisers that it was not real and knowing that the presumed winner could not even be voted for in the UK they decided not to show it. Neither did most other EU countries. Polling across the EU showed that only 5% had even heard of it. None of this stopped Juncker using it to claim he had his own democratic mandate. Spitzenkandidaten was the biggest electoral fraud in history and led directly to the UK’s departure. Democracy is the only glue that binds this large group of disparate nations together. If the EU attempts to repeat this fraud it is unlikely to survive. One should remimd this and other trans-european Federalists that several EU countries rejected in referendums the European Federalists constitution. Such was the case in France for example. Therefore limiting the federalist insticts is actually fully democratic. What current bunch of Federalists are trying to do is to go around the results of these referendums. Another important remark is that democracy is not the only fundament and sacred cow of current European civilisation. Respect for the souvereignity, private property, privacy is also as important. For example if my neighbors make a small referendum and decide my wife should not be only mine, mine house should not be only mine…. This is marxism and is inconsistent with European values. Same is true if somebody in Brussels and Berlin decides who should live in my house … or in my country. This is not something they have any right to decide…. with democracy, or without democracy. Czech Republic took a total of 12 refugees. O, yes, “mass migration” they call it. It is time to block European funding of the Visegrad countries. I really do not see why tax payers in the rest of the EU have to pay for their nonsense. They have spent enough on them already and gotten nothing but grief in return. I totally agree and I will even say to invite the Visegrad countries to leave the EU if gut feelings are followed. But more considered will be that there is basically a clash of at least two visions of the future of the EU: the “traditionalist federal EU” and the Visegrad of a vision of an EU of national states or nations stressing national sovereignty. Are these two visions reconcilable? Apparently depending on how far one wants to go? At least a two-speed Europe seems the only way out using enhanced cooperation. Could we conceive of an EU as an umbrella organisation where countries agree to go together in a certain path be allowed to go. This of course could lead to a weaken Europe. We are living in a world where we have other giants like the US and China. Are we going to let them taking advantage and manipulate to their own interests? We already see China coming onto the scene with the countries of Visegrad and the others of the region. But what is clear is that the Visegrad countries cannot continue to pursue their vision and at the same time depending on funds from the West. If they leave they have to fund themselves which does not seem likely unless they turn to Russian or Chinese funding. We will start a new Iron or Bamboo curtain. Such a scenario is also not wished. A two-speed EU seems the way forward or concentric circles an outer and inner circle depending on each country’s wish as to the level of integration. It is a pity that those joined the EU too soon. They did not have enough time to exercise national sovereignty and independence.